Is your inventory not getting full enough after clearing out those giant patches of grass? Do you often complain about having too much inventory room? Are you willing to take risks? 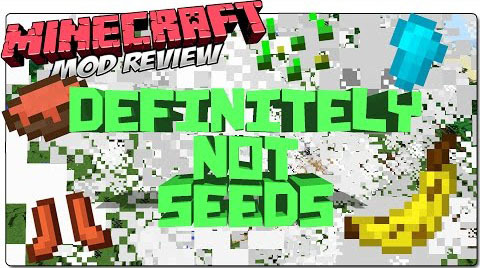 If you answered yes to any of these questions, then Definitely NOT Seeds Mod is the mod for you. 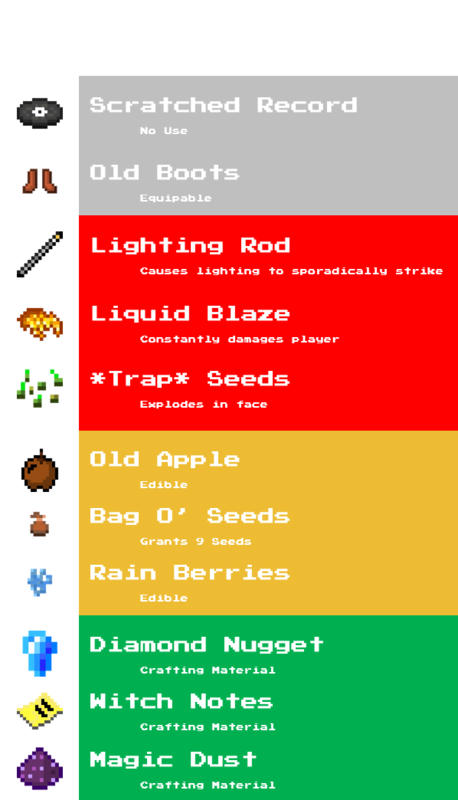 This mod introduces several items that have a chance to drop when grass is broken. The items consist of several tiers: Traps and Items that try to kill you. Trash basically can’t use these item for any purpose. Mediocre potentially useful items. Godly, these items make OP AF.